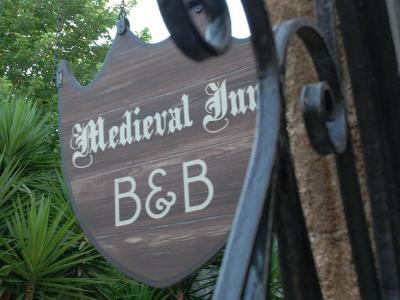 Lock in a great price for Medieval Inn – rated 9.6 by recent guests! Location, and staff commitment to service were exceptional. History of facility and old town area really interesting. The hospitality was over the top for the Inn. They tried to make it feel as I you were one of their family members. Magical property and very helpful owners. They arranged everything we needed! The hosts - Lily and Manos - were awesome. 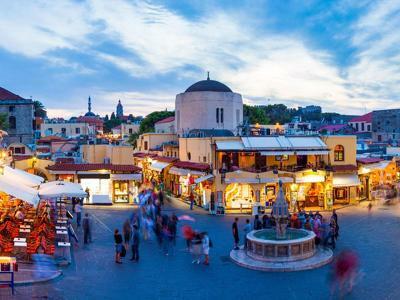 Super friendly, full of tips on the best restaurants to visit (where the locals eat) and the sights to see - both in Rhodes Town and for the balance of our trip on the island. 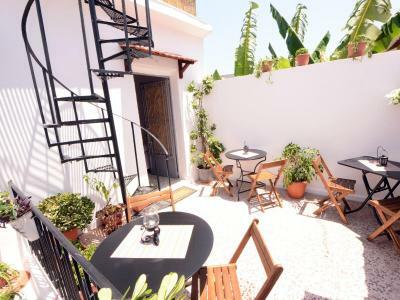 Location great (inside the old city walls), brekkie great, roof deck great, and top class A/C (aircon) - quite appreciated for some hot Rhodian days! Loved our stay. Manos was so helpful and friendly and gave us insights on restaurants, beaches and places to see. We loved our breakfast in the garden each morning. 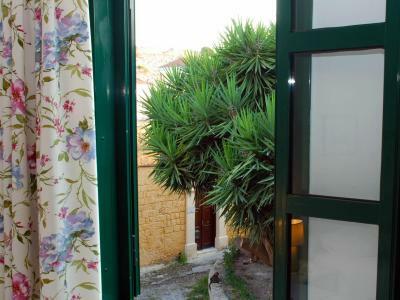 Rooms were very clean and the property is right in the old town. 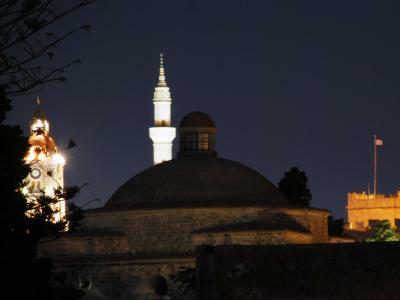 Hope to return to Rhodes and will definitely stay here again! 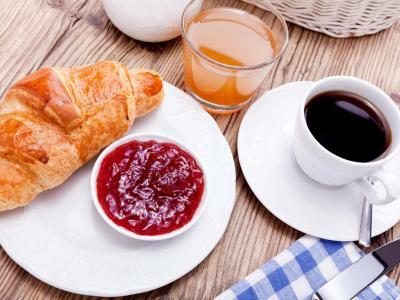 Lilly and Manos are great people, Location is very good near to the center locations, Very quiet neighborhood, Very nice breakfast. Thank you and hope to meet again. 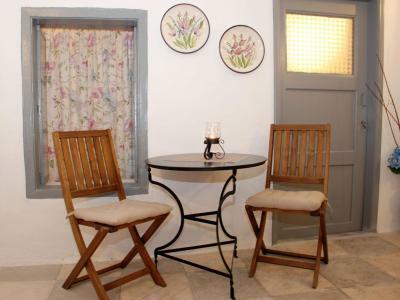 This B&B provides a friendly, homely experience in the old town of Rhodes. 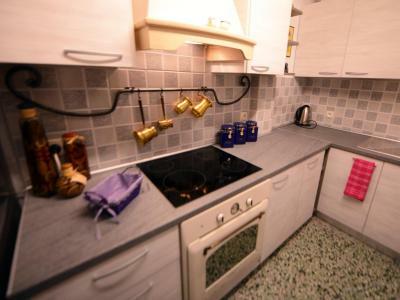 The entire property is impeccably clean and well maintained. 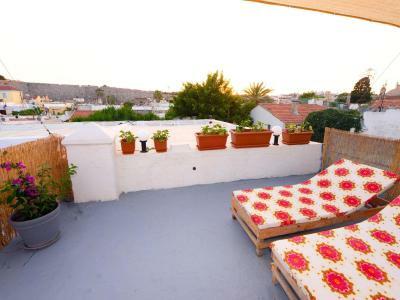 The roof top views and the garden are wonderful. 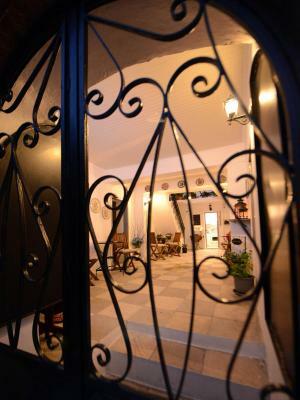 The hosts are very kind and spend the time to give advice and tips to ensure your stay is perfect. The short walk from the parking area outside the walls is easy, following the hosts directions. We loved it! Staff couldn't have been more accommodating. 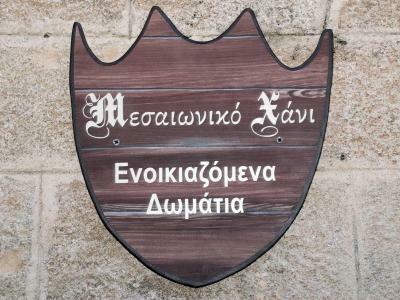 I would recommend this place to anyone who asks for a good place to stay in Rhodes. Everything was wonderful, its location, room, cleaning . Ovners are really lovely people. 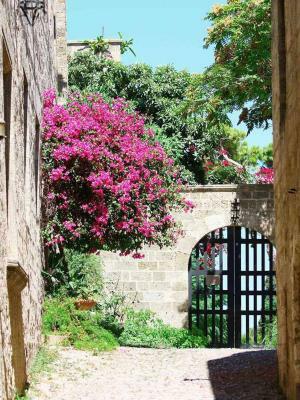 Centrally located in Rhodes Old Town, the 14th-century Medieval Inn features 2 relaxing private gardens, an internal courtyard and a rooftop terrace with sun loungers and views over Rhodes Old Town. It offers rooms with free Wi-Fi access. 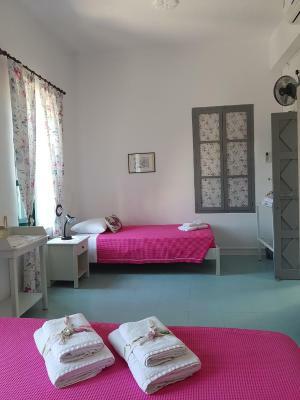 Fitted with white-washed walls and floral curtains, all rooms are equipped with a fan and air conditioning and include a private bathroom with shower or bath tub. An iron and a hairdryer can be provided upon request, while a fridge is featured on the ground floor. Homemade breakfast is served in the garden. 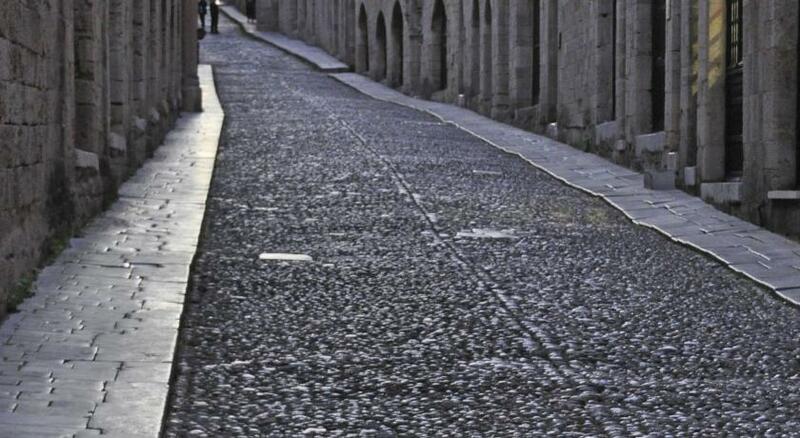 Within a 5-minutes’ walk from Medieval Inn, guests will find a variety of restaurants, bars and shops. Rhodes Port is 0.9 mi away, while Rhodes International Airport is 9.3 mi away. Car rental services can be provided and free street parking can be found nearby. 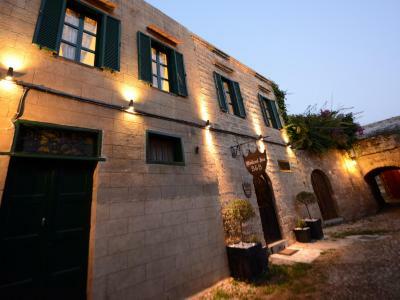 뀐 Located in the real heart of Rhodes, this property has an excellent location score of 9.8! 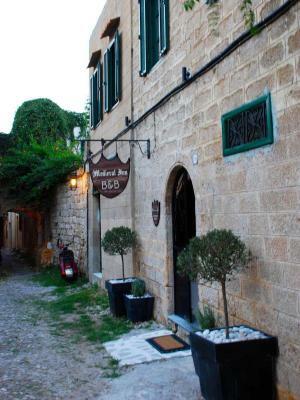 When would you like to stay at Medieval Inn? 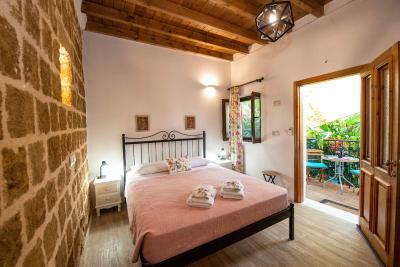 Overlooking the garden from its 2 windows, this spacious room features a fan, free Wi-Fi and a private bathroom with bath tub. An iron and a hairdryer can be provided upon request, while a fridge is featured on the ground floor. 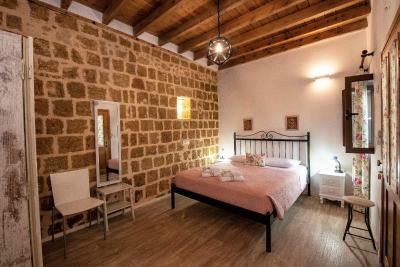 This room features a fan, free Wi-Fi and a private bathroom with shower. An iron and a hairdryer can be provided upon request, while a fridge is featured on the ground floor. 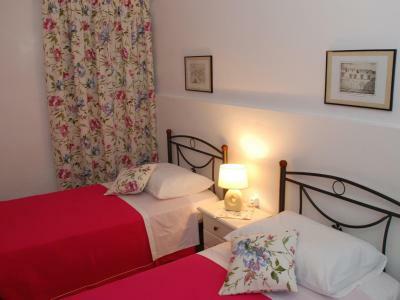 This spacious room features a fan, free Wi-Fi and a private bathroom with shower. An iron and a hairdryer can be provided upon request, while a fridge is featured on the ground floor. 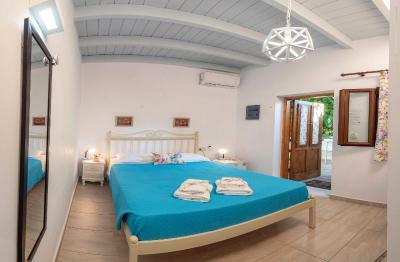 This room features air-conditioning, free Wi-Fi and a private bathroom with shower. An iron and a hairdryer can be provided upon request, while a fridge is featured on the ground floor. Overlooking the garden this room features air-conditioning, free WiFi, and a private external bathroom just opposite the room with a shower. An iron and a hairdryer can be provided upon request, while a fridge is featured on the ground floor. 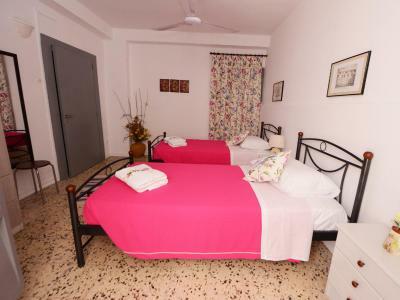 This spacious room features air conditioning, free WiFi and private bathroom with shower. An iron and a hairdryer can be provided upon request. 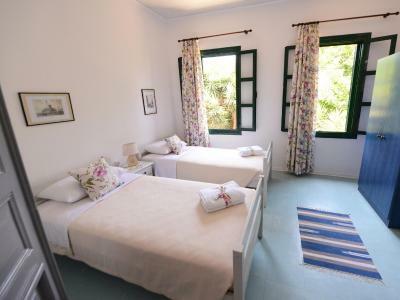 Overlooking the garden from its balcony, this spacious room features air conditioning, mini fridge, free WiFi and a private bathroom with a shower. 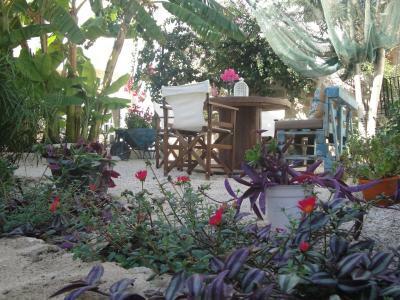 This room has a private entrance and direct access to the garden. 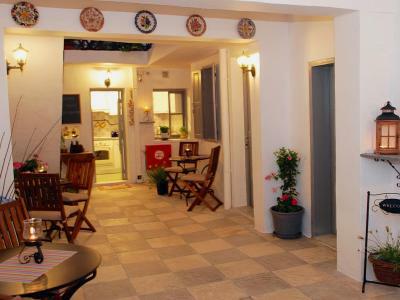 It features air-conditioning, mini fridge, free WiFi and a private bathroom with shower. House Rules Medieval Inn takes special requests – add in the next step! Medieval Inn accepts these cards and reserves the right to temporarily hold an amount prior to arrival. 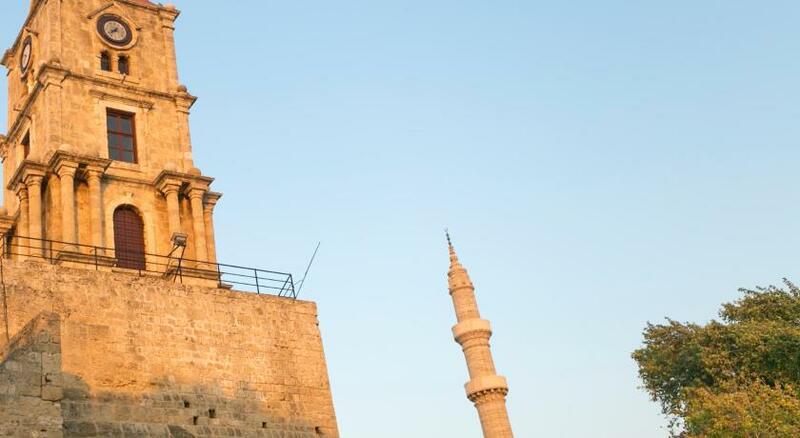 Please note that guests arriving by taxi οr by car can stop at Saint Athanasios Gate by the Saint Francisco Church, just a 5-minute walk to the property. Free parking is available opposite the church. Please inform Medieval Inn of your expected arrival time in advance. You can use the Special Requests box when booking, or contact the property directly using the contact details in your confirmation. 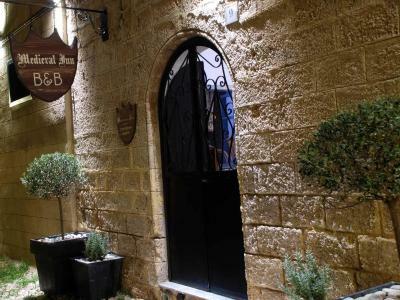 We loved everything at the Medieval Inn! 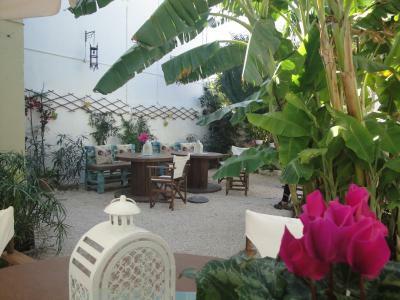 The staff, the facilities, the location (quiet yet close to everything the Old Town has to offer), the breakfasts, our room and the garden. Bit of a drag with suitcases from main gate as vehicles not allowed within town walls! Very convenient 4 shopping/eating. Staff lovely! Nothing negative to say, everything was perfect! Panos & his team are excellent host. I loved the comfy bed, delicious breakfast & perfect location. Also Panos recommendations of places to visit & to eat were amazing. 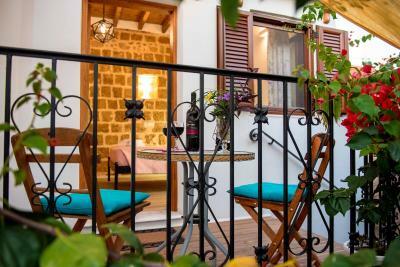 This b&b is very well located for exploring Rhodes Old Town. The owners, Manos and Lily, go out of their way to ensure you are well looked after, with excellent suggestions for places to visit and restaurants. 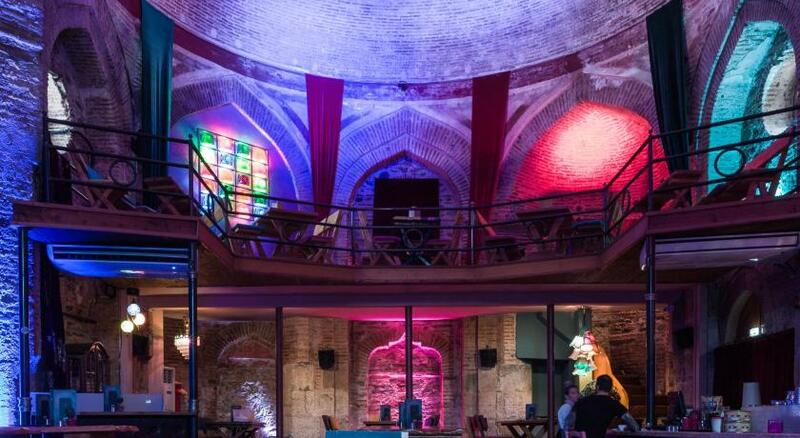 The building is historic which adds to the atmosphere. The garden where breakfast is held is beautiful, as is the garden across the way from the entrance to the b&b. 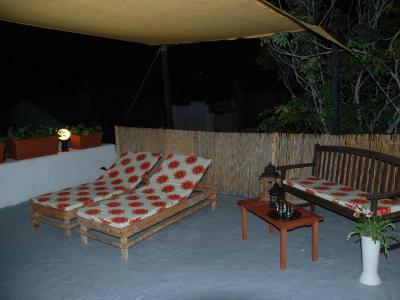 The rooftop is a place to rest and relax with a great view. We stayed only 4 nights but could easily have stayed longer. Highly recommended! Everything. Lovely owners. Great breakfast. 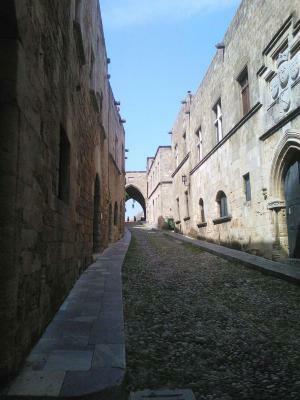 Helpful tips about Rhodes. We had some minor difficulty finding the hotel when we arrived but only a minor inconvenience. The management and staff were very friendly and assisted us with our every need. Great breakfast for the cost. We chose the economy room and were happy with the good value this room provided, however next time we would upgrade as we found the very small size, lack of natural light, and most importantly the internal bathroom and bedroom window facing into the main reception foyer/courtyard lacked the privacy to make our stay truly comfortable. We also had only cool showers as noted by other reviewers, however this didn’t bother us as the weather was quite warm during our stay. 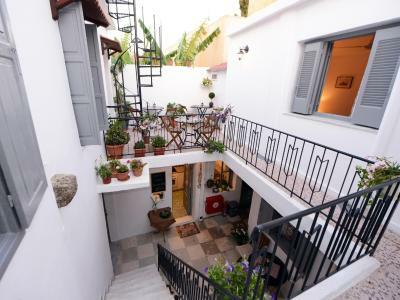 Cute, clean and centrally located family run guesthouse, nicely appointed spaces including garden and roof terrace, and top notch hospitality from proprietors Lily and Manos who provide great recommendations for activities and restaurants on their custom made map. The staff were very friendly and went out of their way to ensure clients enjoyed their stay. 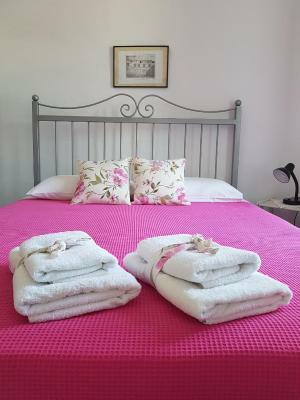 The property had been recently renovated so furnishings and shower room were very new. 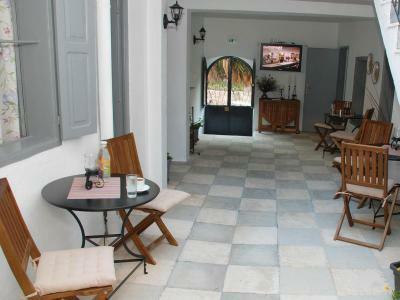 The courtyard breakfast area was very cosy and romantic. Lovely breakfast. Small rooms, steep steps and cold showers. In old town it must be difficult to find larger bedrooms. 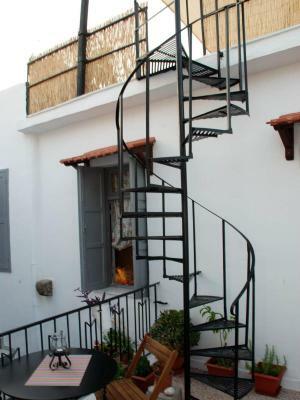 As senior citizens, the steep steps made it a bit more difficult to get to and from our room. No elevators in old town. Lastly the water for our showers were cold no matter what time of the morning we tried for a hot one. We did not mention it to Lilly as we thought the time of the day made a difference—it didn’t. Location in old town, Lilly the manager and the breakfasts. 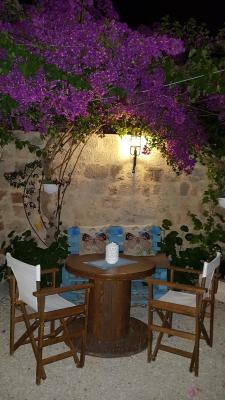 The location was conducive to walking around old town and then returning to the inn to relax before going out again. Lilly spoke fluent English and was helpful in suggesting restaurants and things to do in old and new town. Lilly served us breakfast of eggs, fresh fruit, yoghurt with honey, bread/pastry basket and good coffee. We loved our stay at the beautifully appointed Medieval Inn B&B. The location was quiet yet convenient, nowhere more than a short walk away. 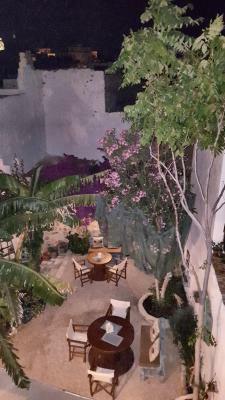 Our room was spotlessly clean, and we particularly enjoyed a complimentary evening drink in the very attractive outdoor garden area. 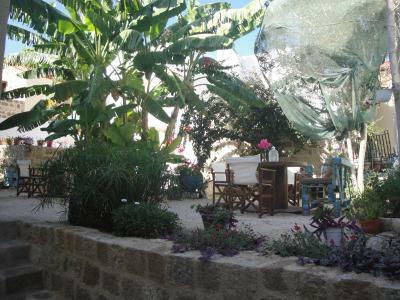 Manos and Lilly were wonderfully hospitable - warm, friendly and welcoming. 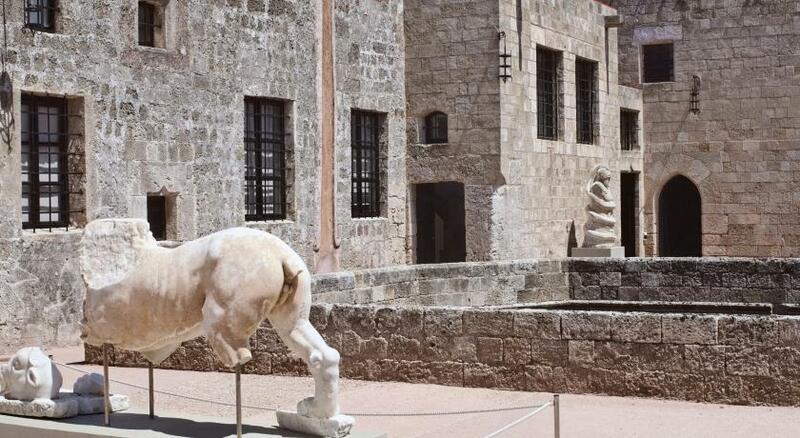 We appreciated all the advice and information Manos provided to ensure we made the most of our time in Rhodes. 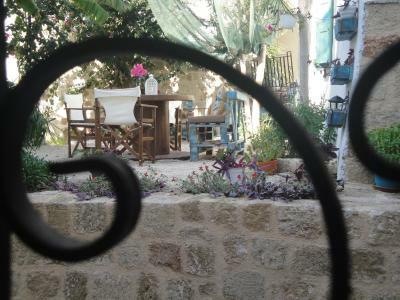 We would have no hesitation in recommending this B&B to anyone visiting Rhodes Town. Very welcoming and friendly staff who took the time to go through our plans in Rhodes to make sure we had the best experience possible. 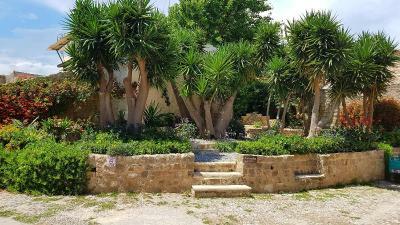 the location was excellent in the old town, Breakfast was excellent with home made food, very friendly and helpful staff (Family) would fully recommend it for holiday in Rhodes, lovely garden setting and a roof top view over the ancient city. 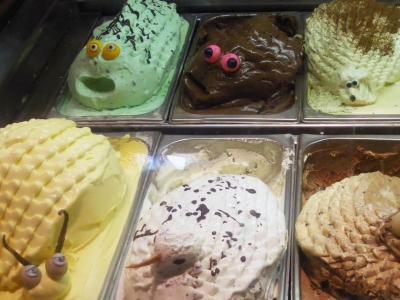 A real credit to the owners who are there to please their guest.